If you were one of the lucky ones that happened to pick up a HP Touchpad you might be curious about how to get android on it. And if you are curious the question is, Are you going to do it? I’ll answer the big question now – yes. 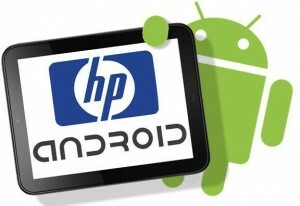 You can put Android on your HP Touchpad but it is up to you if you want to or not. Basically how your able to put it on is through a team called CyanogenMod they are a team the develops hacks to run Android on devices that are not running the Android OS. Basically this team just released an update called CyanogenMod 7.1 allowing you to be able to put android on more than 68 devices! And the HP Touchpad is one of them. I have this on my TouchPad currently and I have to say it’s really nice. There really is not many problems at all that I have found out. It also should not harm your device in any way. So now you might be wondering well how complicated is it. If you know how to follow step by step instructions and know which key the volume up key is this should not be complex. If you don’t know one of those you have major problems and should exit this now and go learn them. There is lots of awesome things to do and everything is working on it also. So if you want to learn how to install Android on yours or want to watch a demo of it running. Stay tuned on this website for my next posts! Spacebook Android Game Review – Social Flavour of Gaming! Leopard Tablet: The New Low Budget Contender In Indian Market!